Now, it’s no surprise I love my dogs. It’s also no surprise that I love to spoil my dogs. They deserve it! I know I’m a bit biased, but they are absolutely awesome and you will never make me believe that they don’t actually appreciate it. So last month, I was trolling around the Internet, seamlessly going from one web page to the next without much thought. All of the sudden, I don’t remember how, I ended up at barkbox.com. There isn’t too much to the website, but I found it cute nonetheless. 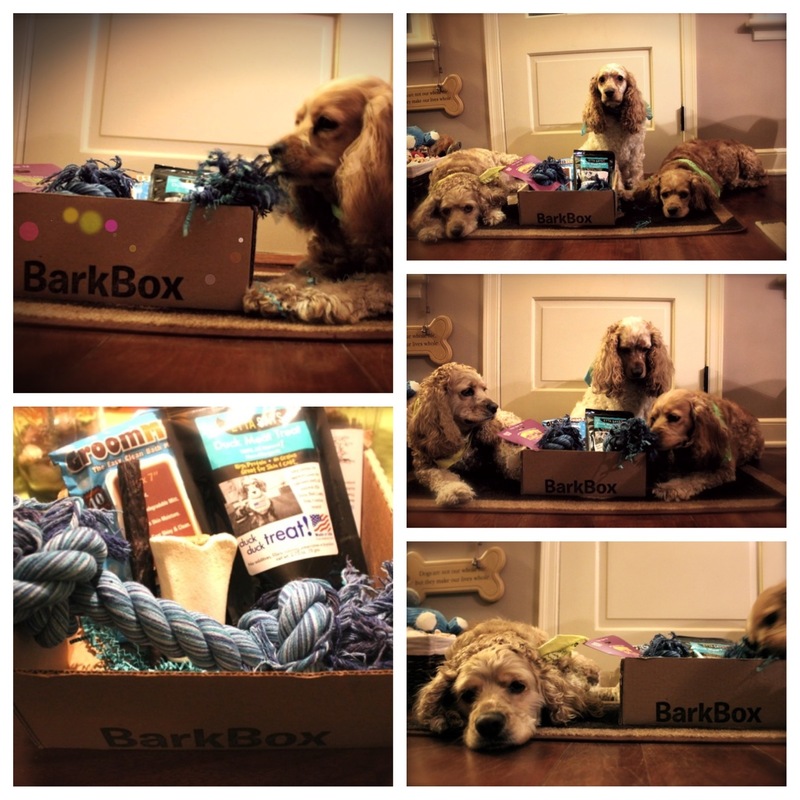 From the website, I simply found out once a month you are sent a BarkBox filled with toys and treats and all kinds of specialty dog stuff for your favorite pooches. Also, 10% of the sale goes to local shelters and charities. I decided to sign up for a month because I was really interested and wanted to see what it was really about. So I signed up and then had to wait 3 weeks because they ship the boxes out the 15th of every month. I have to say, I was super excited. My excitement rivaled the pups excitement when they received it yesterday ( it got to my house a day after it was shipped! I received the package before I received the shipment notification via email!) There is not much I like more than showering my favorite fur balls with treats and toys. I was definitely pleasantly surprised. The contents of the box were absolutely worth the 1 month subscription cost. One of the bones they sent in this months box alone was at least $10. The fact that it actually was worth it, a portion of what you spend helps animals in need, and the cool factor of being able to say, ” my dogs get mail!” is really all I need to stay signed up for a while! Oh! Also, how cool is it that I sent them a picture of the pups with their box and about 20 minutes later I got an emailed response from an actual human!! If you are interested in giving it a try, go ahead and use this link to get $5 off! 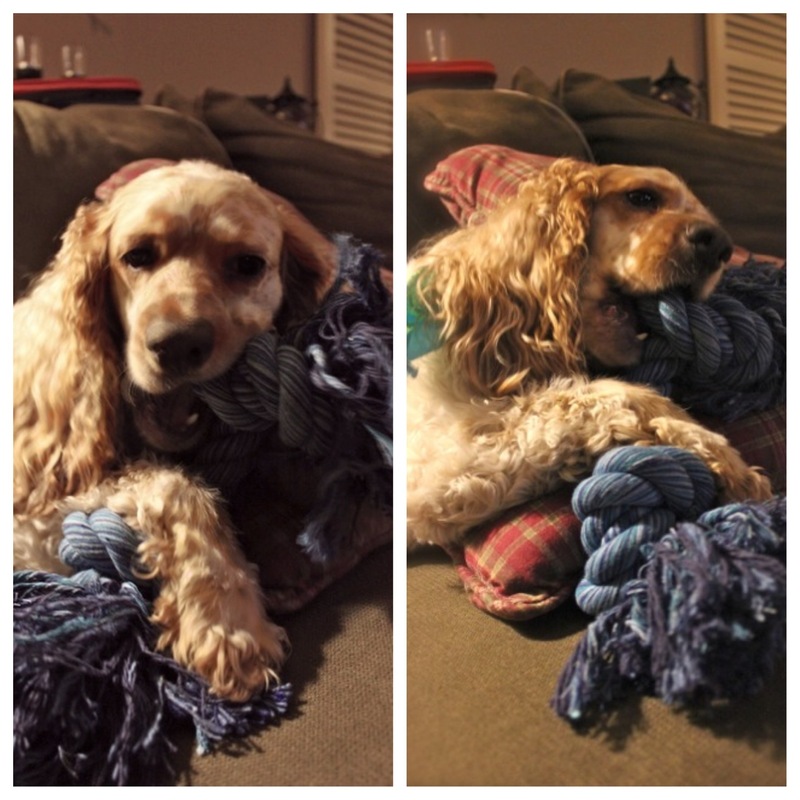 Posted in Puppies & SparklesTagged Barkbox, Dogs, puppies, toys, treatsBookmark the permalink.